Improved All Natural formula - contains even greater quantities of amino acids, trace elements, vitamins, minerals, seaweed, dried herb extract, plantago seed, oil, diamond v yeast on a base of cliniptolilite and calcium montmorillonite. 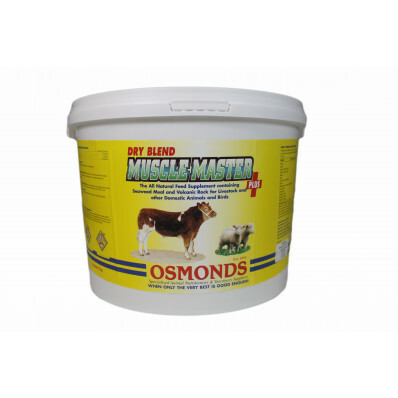 May be beneficial in the production of all-round muscling properties. Feed for 12 weeks prior to sale or slaughter - may help increase grades in feeding cattle by two thus increasing profit.